NO ONE ever plans to have an accident, but the reality is that accidents can and do happen. Nowhere is this truer than in the materials handling industry, where we see humans and lift trucks work side-by-side day in, day out. When this partnership goes as ‘planned’, it’s an exceptionally good one. But, what about when it goes off-plan? The results range from costly damage to racking and stock to hospitalisations, life-changing injuries or worse. It’s too high a cost and it happens more often that you may think. On every working day in the UK, five people are seriously injured in accidents involving lift trucks. Sad events like these leave a big wake. They change the lives of those involved, as well as their families, friends and colleagues. Employers are by no means immune. In a split second, an accident can place a stable and successful operation into significant financial peril. Worse still, nearly every single one of these life-changing accidents could have been avoided. It would be easy if we could simply blame the machine. But, innovations in truck design mean that mechanical failures are very rare. Human error, on the other hand, is not. With so many people (and decisions) involved in lift truck operations, it’s incredibly easy to stray from best practice. All it takes is an operator, colleague or manager/supervisor, to lose focus and take action without considering the consequences. 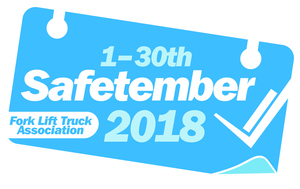 That’s why, during Safetember, with the support of everyone working with or alongside lift trucks to take responsibility for their colleague’s safety, under the theme ‘make sure they get home safe’. This message underlines our belief that safety is a collective responsibility. While leadership must come from managers and supervisors, everyone has a part to play in making their sites and jobs safer for themselves and their colleagues. In recent years, our Safety Partner Mentor has developed free resources to support our campaign efforts. And this year was no exception. During Safetember, the company launched a new, free tool to help employers assess their refresher training needs. And, along with their free Show Your Hand campaign kits which aim to strengthen non-verbal communication, it’s available now from mentorflttraining.co.uk. I sincerely hope that HSM readers will take advantage of the practical guidance opposite and that it will make a real and long-lasting difference to staff safety. After all, there is nothing more important than ensuring your colleagues go home safely at the end of each and every working day. Managers and supervisors should be aware of what’s expected of themselves, as well as colleagues, to minimise the risk of accidents. It would be impossible to sum up these responsibilities in a single article, so FLTA has compiled a list of dos and don’ts. It is by no means exhaustive. When it comes to fork lift safety, the HSE makes it very clear that ultimate responsibility sits squarely on management’s shoulders. If there’s an accident on site, involving workers under your supervision, there’s a reasonable chance that you could be found at fault. L117 (Rider-operated Lift Trucks: Approved Code of Practice) makes it clear that, as a manager, you have a legal duty to uphold safety. Your responsibilities include: carrying out risk assessments and ensuring necessary action is taken and identifying training requirements among staff. As the person who ultimately influences workplace safety culture, you may have training needs yourself – so you’re able to easily identify bad practice and act upon it. There are a few effective measures which those overseeing operations can take to help them in upholding their responsibilities. Management roles are never easy. With other duties and responsibilities to take care of, many managers spend more time in the office than on the work floor, overseeing operations. Your managers may hold ultimate responsibility for safe operations, but that doesn’t mean they need to be able to operate a forklift. What is crucial, however, is that they possess the skills and knowledge to adequately assess operational safety and take appropriate action where necessary. Ensure practices are in place to minimise risk. Several FLTA members offer such training. Use the Member Finder at www.fork-truck.org.uk to locate one. Seeing how other sites are organised, identifying their problems and looking at what safety precautions they have taken, can be a real eye-opener. It equips you with ideas and options which you can take back and implement at your own site. Each year, the FLTA’s Safe Site Award celebrates companies that have gone above and beyond in their efforts to attain safe working conditions for employees working on and around fork trucks. From safety barriers to training initiatives, video tutorials to site restructuring, the Safe Site Award’s past entrants are a veritable goldmine of effective – and often economical – safety measures. Each year, our winners and highly commended entrants are invited to share their experiences and knowledge with delegates at the National Forklift Safety Convention. ‘Managing Forklift Operations: Manager’s Checklist and Best Practice Guidance Notes’ is a valuable tool, which formalises and documents safety checks. Developed in association with Safety Partner Mentor Training, as part of Safetember 2015, the pocket-sized booklet offers checklists designed to give managers and supervisors a formal structure for safety checks. The booklet also includes a range of information which managers might need during a shift, such as important contacts, sources of further information and best practice advice. This short, well-illustrated HSE publication is the definitive guidance for fork lift operations. It outlines the seven main pieces of legislation regulating the use of industrial trucks and, in clear and concise language, highlights what you need to do to comply with the Law. Every fork lift manager should have a copy. Physical copies can be ordered from the HSE or the FLTA web shop. Alternatively, you can download a copy – at no cost – from www.hse.gov.uk. Keeping track of constantly shifting safety regulations, government legislation and best practice procedures is a tough ask, but help is at hand. 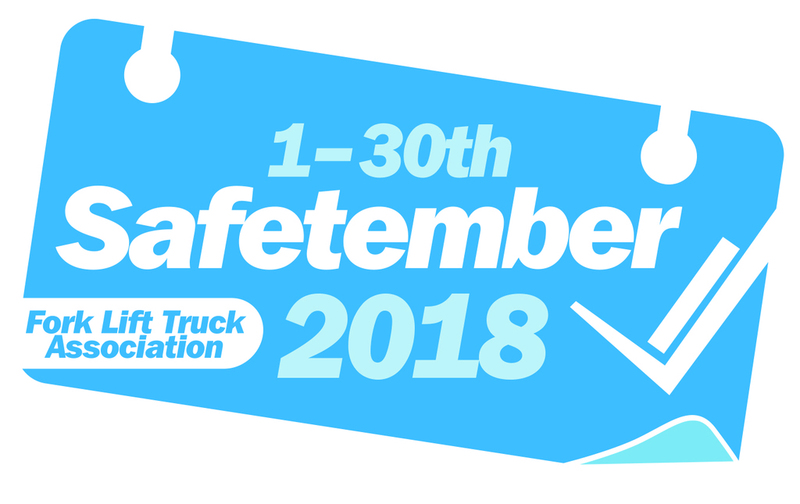 The FLTA’s Safe User Group (SUG) has been created to keep forklift managers up to date on best practice and the latest changes to legislation. In addition, they get heavily-discounted admission to National Forklift Safety Convention; exclusive access to the FLTA’s comprehensive online resources; big savings on FLTA store items; technical bulletins and more.